Margaret Merril is the signature Real Flower Company English rose and it’s famed for both its beautiful sweet fragrance and perfect shape. Margaret Merril bloom open from sprays of tight rose buds into a perfectly shaped English rose with ivory petals, with a hint of blush. Our range of Margaret Merril bouquets makes for both excellent gifts and fantastic centerpieces for your home. Size Up Grade: There is a complimentary size upgrade on the below Margaret Merril bouquets until Friday 4pm 25th of August. 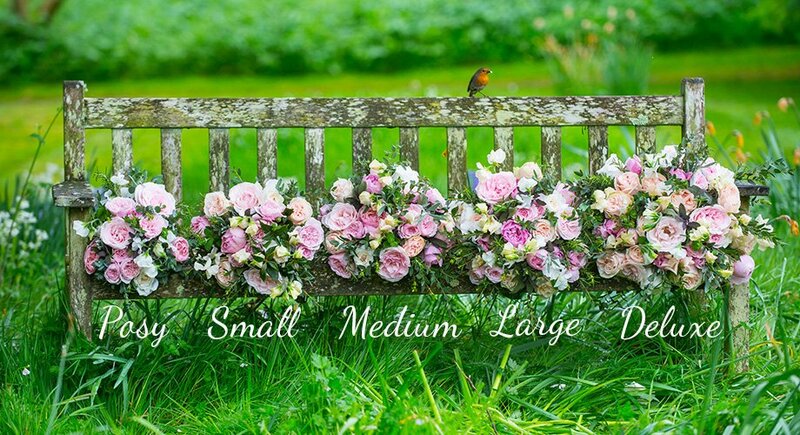 Just order as usual and we will upgrade the size on your Margaret Merril bouquet at no additional cost.